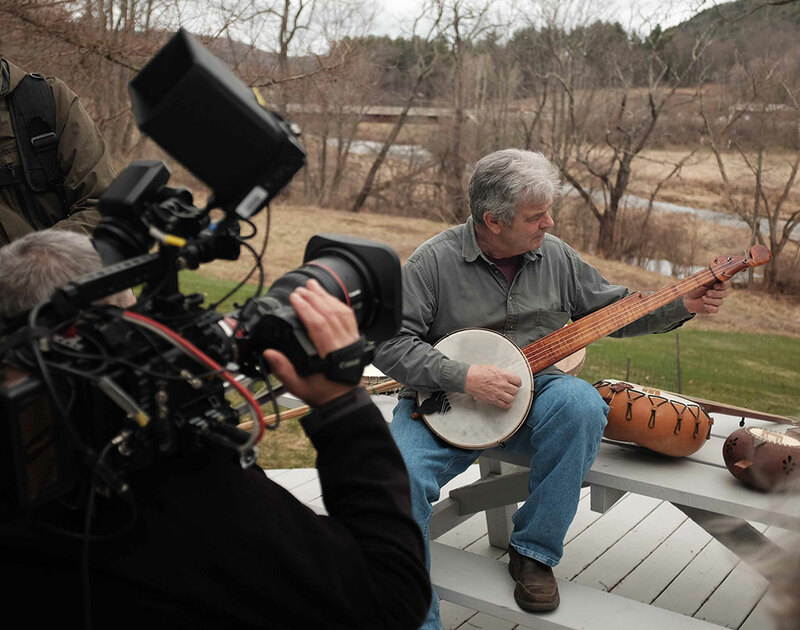 For our upcoming episode, MUSIC, Craft in America visited banjo maker Jim Hartel in Franklin, New York. 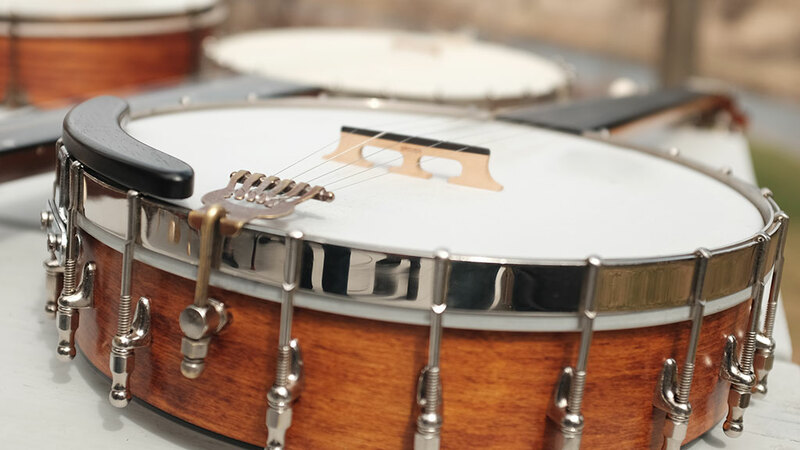 See what he had to say about being a banjo maker! How did you begin to make banjos and why do you concentrate on minstrel banjos? I became interested in college early 70’S. I was an art student in Buffalo and took a class in American Folk music taught by William H. Talmadge. He wrote a study “The Folk Banjo and Clawhammer Performance Practice in the Upper South. He introduced me to the 5 string banjo so I set out to teach myself how to play. The first banjo I acquired, by mistake, a 4 string tenor and the book by Pete Seeger, “How to play the 5 string banjo.” So set out to make a 5-string neck. After that I began to repair and make banjos whenever I got the chance. After looking into the history banjo in America and African origins, I became intrigued by the wide variety of banjos created during the first half of the 19th Century. There was no standardization and there was a lot of experimentation. Most banjos of that period didn’t use frets. What exactly is a minstrel banjo? The early banjo or “minstrel” banjo evolved in America from the African American slave instrument brought to the Americas from West Africa. The stroke (minstrel style) or clawhammer down picking style of playing is derive from African playing styles still practiced in West Africa today. There is evidence of the banjo being played by slave in America as early as 1630-40 in the Caribean. First documented in 1737. The first banjos or banjars made and played by plantation slaves were derived from the lute instrument from Africa. They were mostly gourd instruments with a skin head. You make all your own parts. Is this because the parts you need are not available, or do you want to have total control over the processes? The metal parts brackets, hooks and nuts used on this early banjos are unique and not available today. I make my own hooks and nuts and get small foundries to cast other parts and then I clean them up and machine them. Most of the parts are made from brass. Tell us about the minstrel banjo you made for Rhiannon Giddens? Did you discuss the design of her banjo? I met her at a bones, banjo and fiddle workshop organized by Greg Adams at Harper’s Ferry a few years back. I had a Sweeney banjo with me that she asked to buy. I heard from her from time to time and sent out new banjo bridges to her whenever she needed them. Then a couple years ago she asked me to make her a Boucher banjo. So I went out meet her at a performance venue in Maine with a selection of banjos to chose from. Rather than select a Boucher she chose the new model I recently finished – Levi Brown banjo. 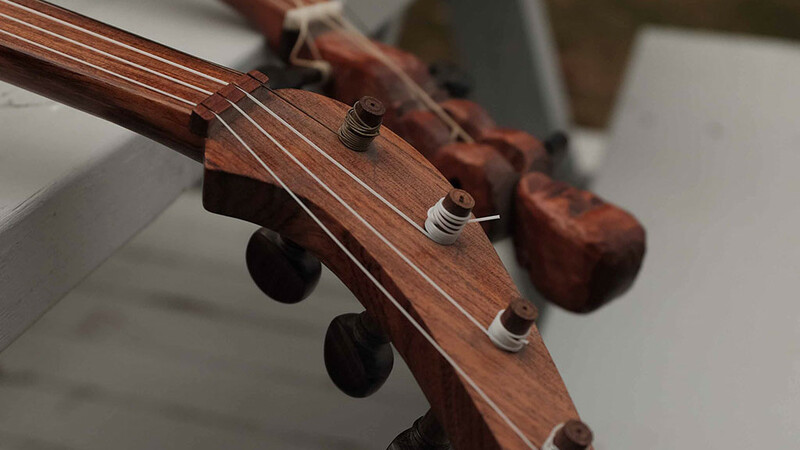 How did your careers as an artist and an art teacher help you to make banjos? I think being an artist had more influence on my experience as an art teacher. 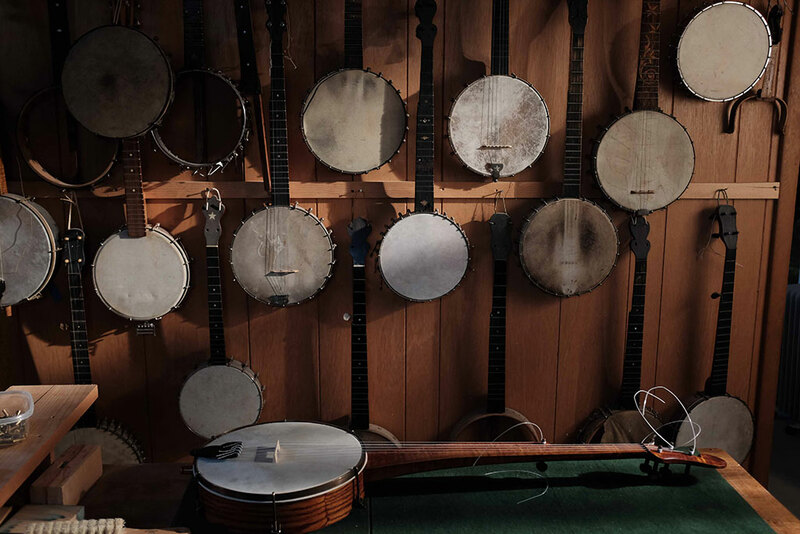 As a teacher with a steady job, I had the stability to pursue my interest in banjo making . 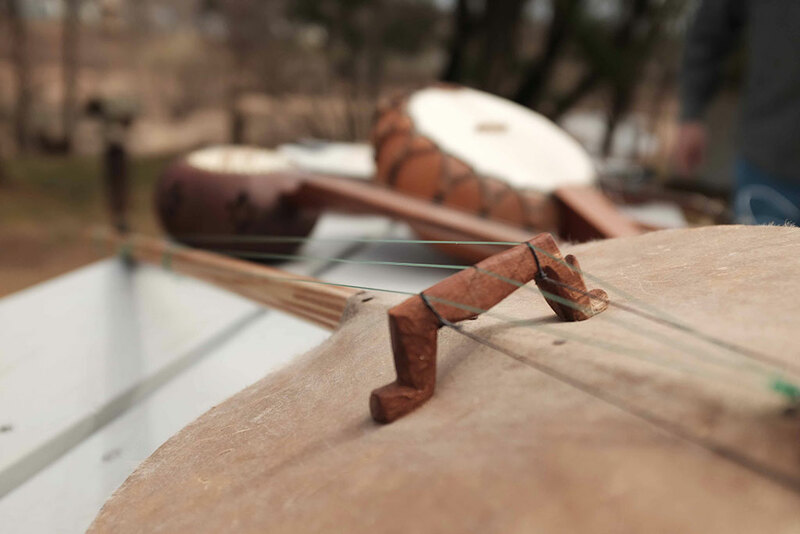 Is there a connection between your sculptures and your banjos? I’ve always been compelled to make things. I don’t differentiate much. I feel the same sense of focus and energy whether I’m modeling clay or carving wood, or building something. I enjoy using whatever skills I have to promote things I believe in.